As the economy continues to crumble, its full scope has been slow to come into focus. Every day seems to bring new revelations about the ways our lives will be affected. One such side effect is the toll the recession is taking on our four-legged friends. Animal shelters around the country, including Vermont, are receiving animals in record numbers as more people shed their pets to spare their pocketbooks. The strain on facilities, and their caretakers, is alarming. 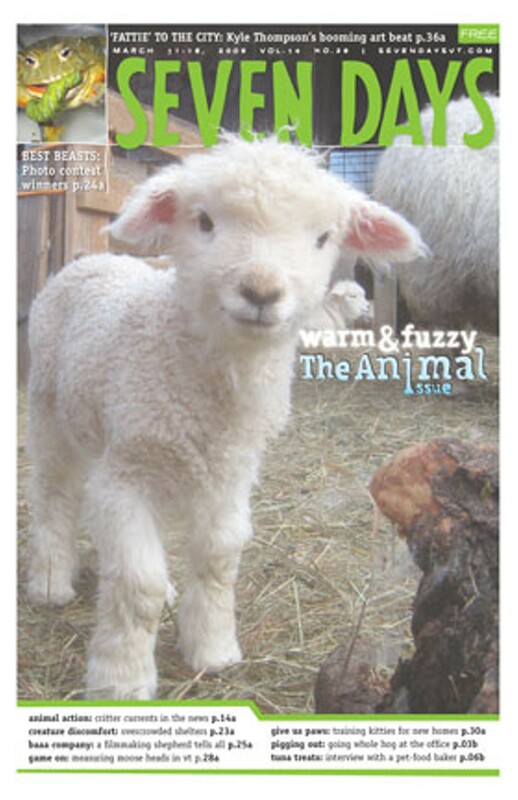 The Animal Media Foundation in Chester, founded in 2002 by Dexter Brown and Carol Scafuro, aims to ease that burden by combining our collective love of fuzzy animals with our love of music. 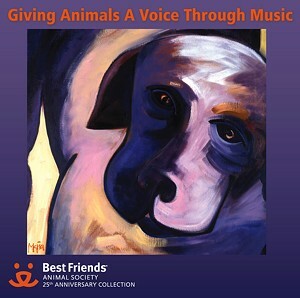 Together with Utah-based animal rescue coalition Best Friends Animal Society, they are set to release a star-studded compilation of music this week entitled Giving Animals a Voice Through Music: The Best Friends 25th Anniversary Collection. The two-disc album is essentially split along stylistic lines. Disc one was produced by Grammy-winning Windham Hill Records founder Will Ackerman. It features 12 notable artists from across the New Age jazz and instrumental landscape, including Phil Aaberg, Tracy Silverman and Karen Marie Garrett. Proceeds from the sales of the collection will primarily benefit Best Friends, which received national attention for spearheading efforts to place thousands of abandoned animals in the wake of Hurricane Katrina. More recently, the group’s 2000-acre sanctuary in Utah became home to 20 dogs rescued from Michael Vick’s dog-fighting ring. Funds will target the shelter’s Puppy Mill Campaign, a program that aims to reduce the number of pets bought and sold from breeding facilities across the country and encourage adoption from animal shelters. Several years in the making, the double CD is AMF’s largest project to date. But it won’t be the last. The foundation will also receive a share of the proceeds from CD sales, and Brown and Scafuro plan to use the money to benefit animals closer to home. Specifically, they’re thinking a compilation featuring regional artists, and concerts such as the one they presented last summer at the Southern Vermont Arts Center in Manchester with Ackerman, Zeigler and others. And with Neko Case, perhaps? “Well, she’s an up-an-coming star,” Brown says doubtfully.